If you are looking a bit like a Dalmatian*, it doesn’t have to be that way, it’s not hard to remove the spots. We are experts in pigmentation removal in Sydney, we have the latest in lasers and the experts that know how to use them. 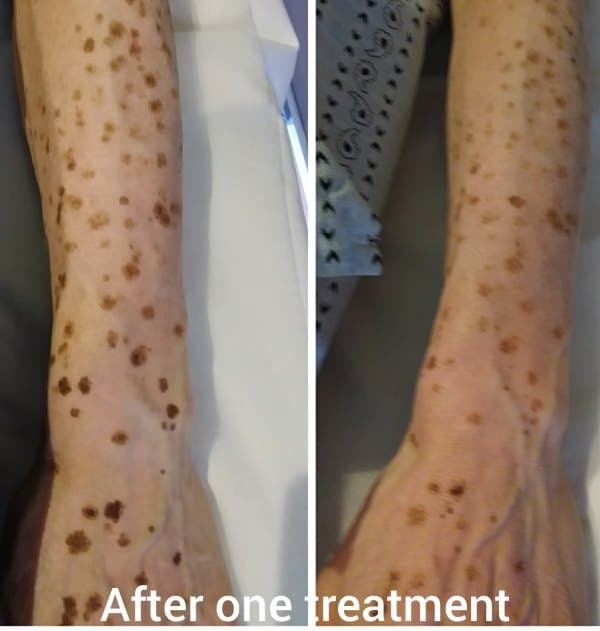 Our customer was so happy with the results after just one treatment she sent us photos of the results. You too can get the same sort of results in just one treatment. Why not come in for a free consultation? Get a package price and be on your way to spot free skin. It really is that easy, after the treatment you will be kicking yourself and thinking why didn’t I do it years ago. * Please note we can’t remove spots from Dalmatians, only people. At Xara Skin Clinic you get real treatments and real results. We aim to give you the safest most effective treatments. That’s who we are and what we do. Why not see for yourself?